Yesterday was a day for going through messes. 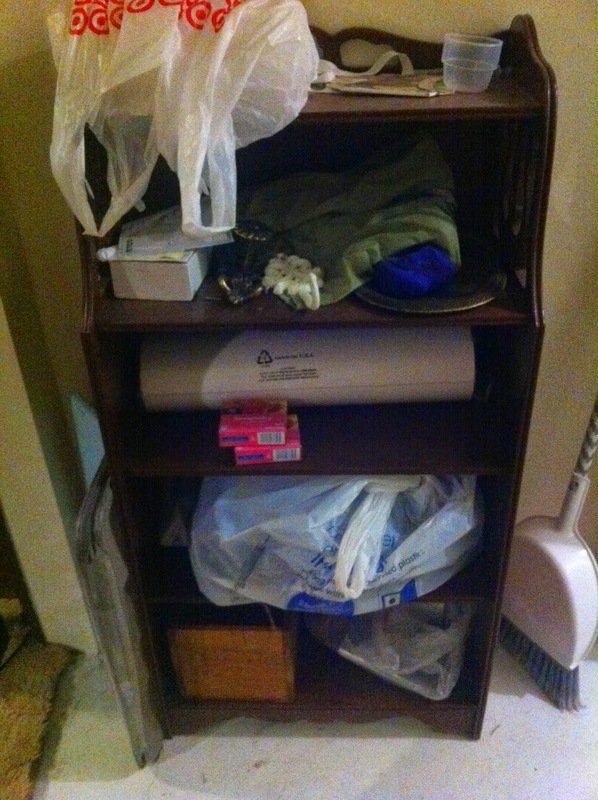 After I went through all the junk on the counter in my bedroom, I tackled this shelf, which has been full of miscellaneous junk since I moved in. I hadn't put the books back on it because I wasn't sure where I wanted it to go. 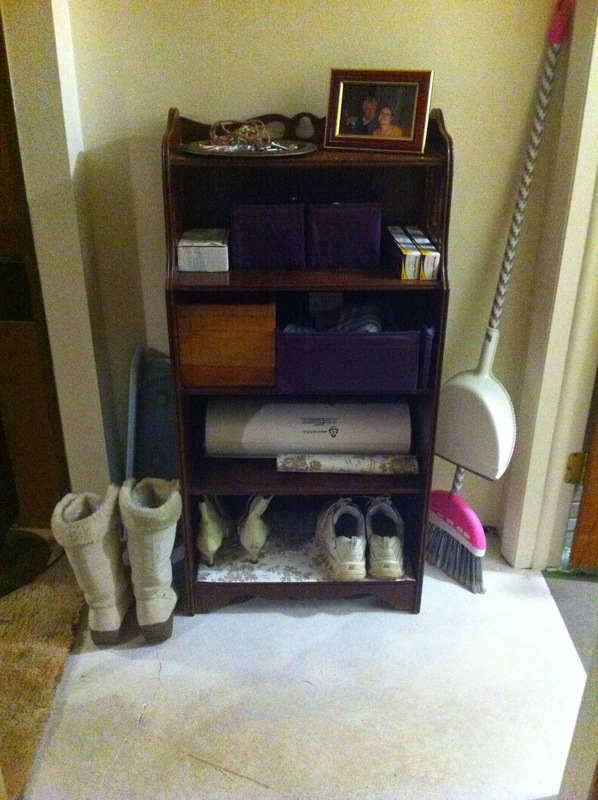 More recently I decided I wanted to use it as a shelf for shoes, hats and scarves, and other things, as I've put it in a little hallway or entry way to my bedroom and bathroom. It's not done yet -- the bottom two shelves will both be shoe shelves once I get enough liner for the second shelf -- but it's a good start! I still have a lot of this kind of thing to do -- straightening up, decluttering, and organizing -- but I'm very pleased with what a good start I got last night!